The departement of the Alpes Maritimes - Pop. : 2,816 inh. From Nice, which is 44 km from Tignet, take the RN (route nationale) 85, then the RD (departemental road) 13. 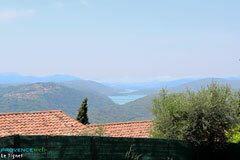 It is 25 km from Cannes and 9 km from Grasse. From Nice, which is 44 km from Tignet, take the RN (route nationale) 85, then the RD (departemental road) 13. 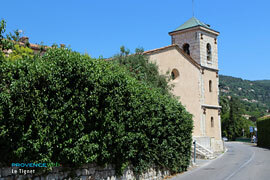 It is 25 km from Cannes and 9 km from Grasse. At Le Tignet, do not look for an old village. 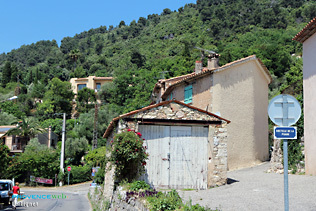 beautiful residences complete this authentic Provencal scene. 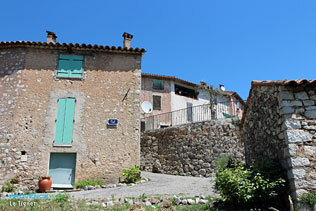 Charming stone provençal-style house with park & swimming pool. Speracedes (2km), St Cezaire Sur Siagne (6km), Peymeinade (4km).